I'm used to talking about the found objects used in my collages, but this time it's about the art I found in an old portfolio that was stashed under my daughter's bed. 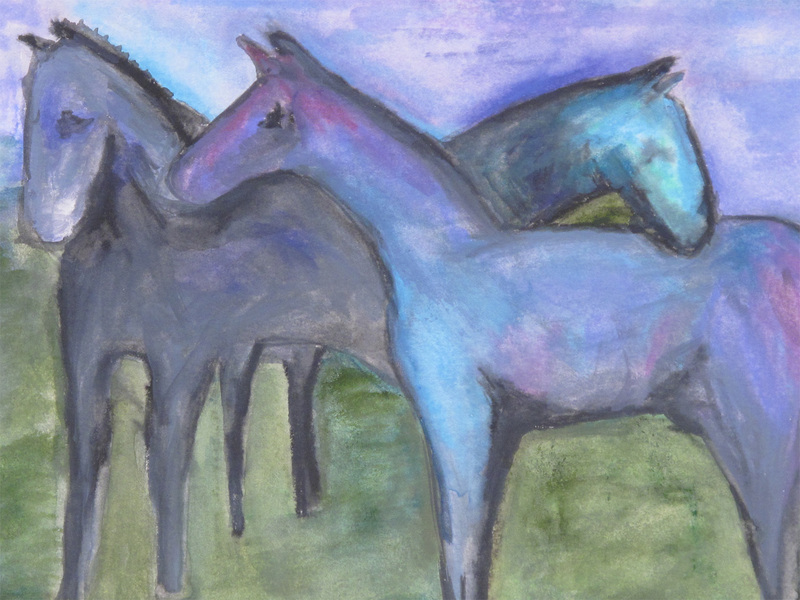 The horses were inspired by one of my favourite pieces at the Little Nell Hotel in Aspen. I quickly grabbed some of those cray-pas pencils that mix with water, and sure enough I got a fairly good showing of colour. 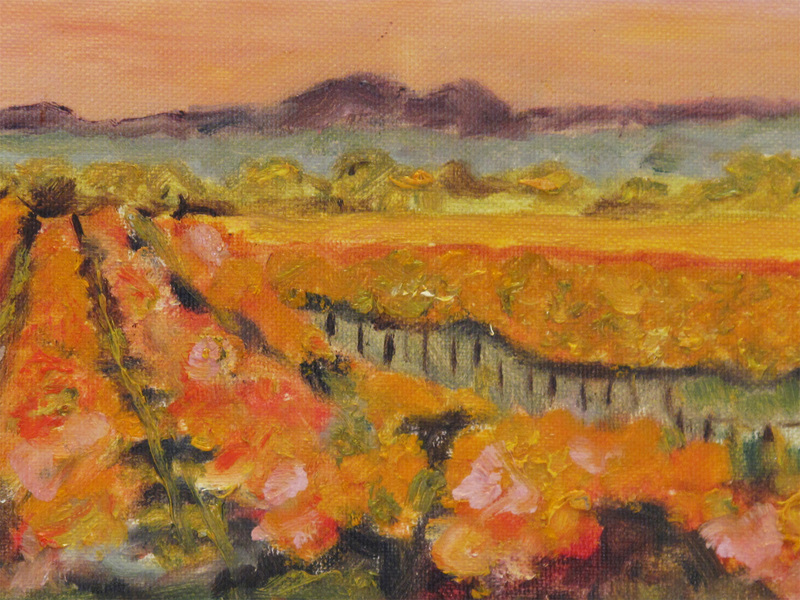 Next we have the Napa Valley done in oil paints, my least favourite medium in which to work. I just never got used to painting with something the consistency of butter, but I tried it again with the pears. This time on mylar which is a very sheer plastic material. The paints are blended with mineral spirits and slide around the surface very quickly leaving all kinds of surprising results. Also compatible with this process are china markers, india inks and chalk. 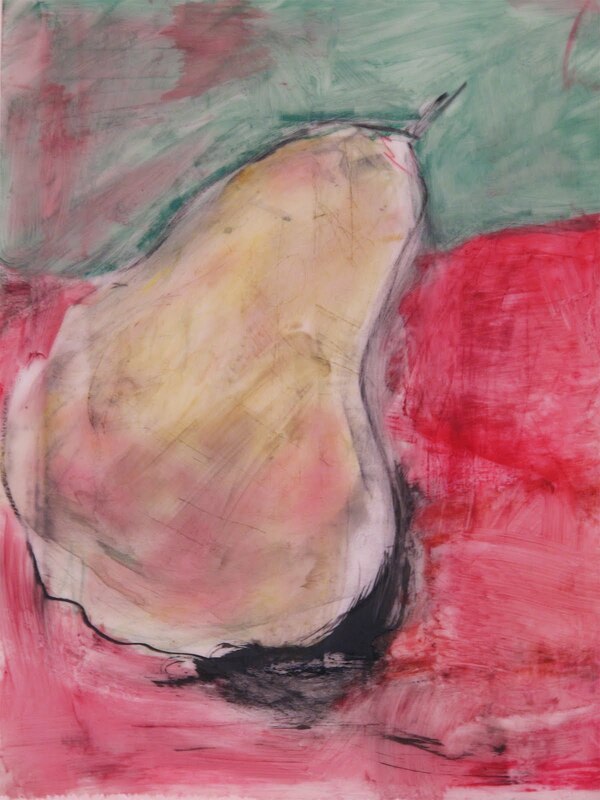 Water colours must be mixed with gum arabic when using mylar as the ground. I think it's time to get out the acrylic paints. I actually know what to expect when they hit the surface, but my lack of frequency in using them makes it all seem so experimental each time. 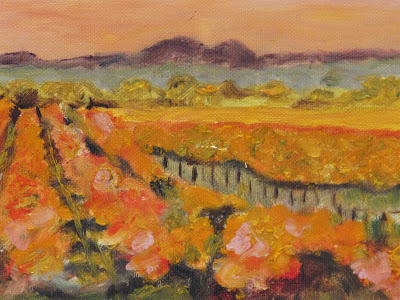 Oh ya, that's part of the Zen of painting...... go forth and be creative today. I love love these paintings. I love the horses most of all! Thank you for you visit! The Wedding that keeps on giving!